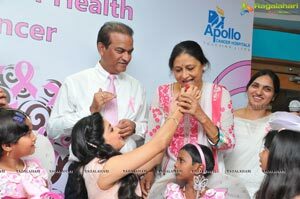 Apollo Cancer Hospital hosts unique campaign to spread Breast Cancer Awareness! 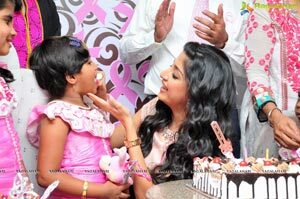 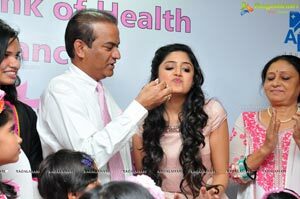 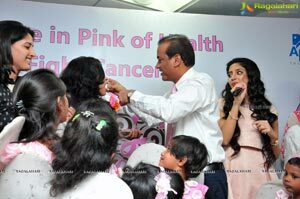 Hyderabad, 21st October, 2014: Apollo Cancer Hospital hosted a unique campaign "Let's be in Pink of Health- fight Cancer" to spread awareness amongst the youth about the dreaded breast cancer and how simple it can be to nip the disease in the bud stage, on Tuesday at Apollo Hospitals, Jubilee Hills. 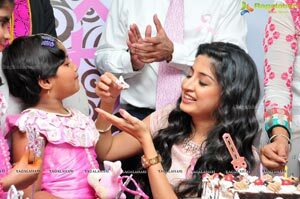 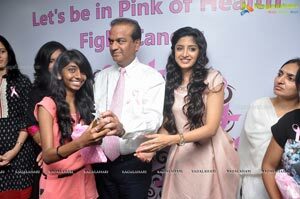 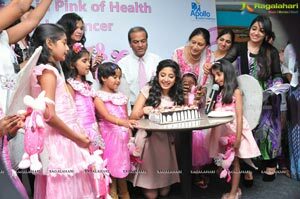 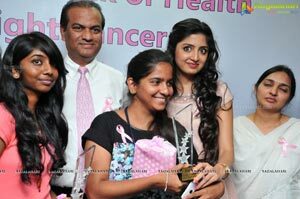 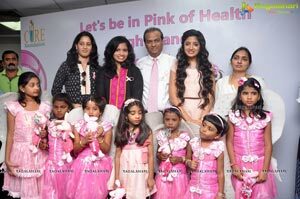 Tollywood star actress Poonam Kaur, Asian Games 2014 Badminton medallists Sikki Reddy and Pradnya Gadre; Dr. Vijay Anand Reddy, Director, Apollo Cancer Hospital and large number of students from St. Ann's College for Women; Loyola Academy Degree & PG College and Wesley Degree College for Women joined small kids dressed in pink in taking a pledge to follow the simple tips meticulously for prevention of breast cancer, follow healthy diet habits, do regular exercise and also to educate their friends, relatives on this. 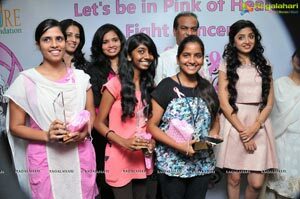 College students expressed lucidly their views on breast cancer, causes for rampant incidence in India, the ignorance amongst women and simple steps to detect and prevent breast cancer at the elocution competition hosted on the occasion. 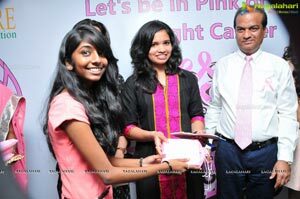 The top two participants were given away the Prizes. 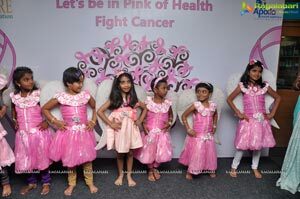 The statistics available on breast cancer are disturbing. 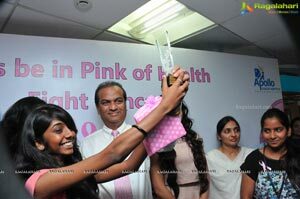 World over 1.4 million new cases of breast cancer are being diagnosed every year. 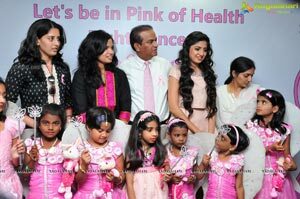 Half of these are from developing countries. 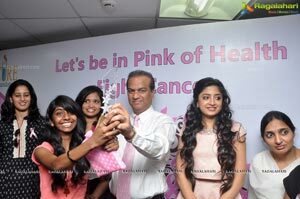 In India 1,25,000 new cases of breast cancer are being diagnosed every year, says Dr Vijay Anand Reddy. 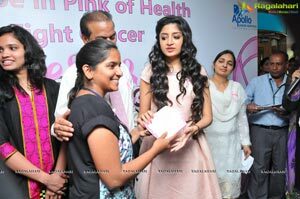 He further points out that breast cancer constitutes 22% of all cancers in women in India and for every 1,00,000, a dismal 124 women are being diagnosed of breast cancer every year. 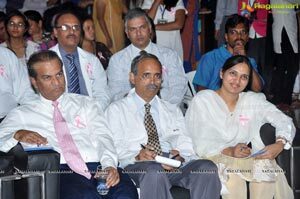 According to Dr Reddy, the most alarming aspect has been the shift in the age group of the disease from 50 + years to 30 + years. 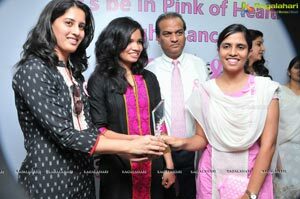 Today more and more young women are being diagnosed of breast cancer aver most oncologists. 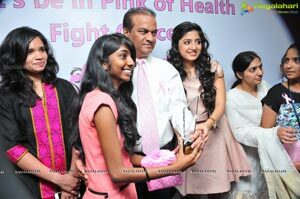 This necessitates spreading awareness on prevention from an young age, on a war footing. 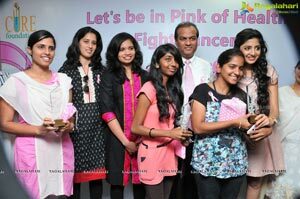 Apollo Cancer Hospital has taken the initiative to organise the Breast Cancer Awareness Programme to target the younger women to stem the incidence in the community, points out Dr Reddy.